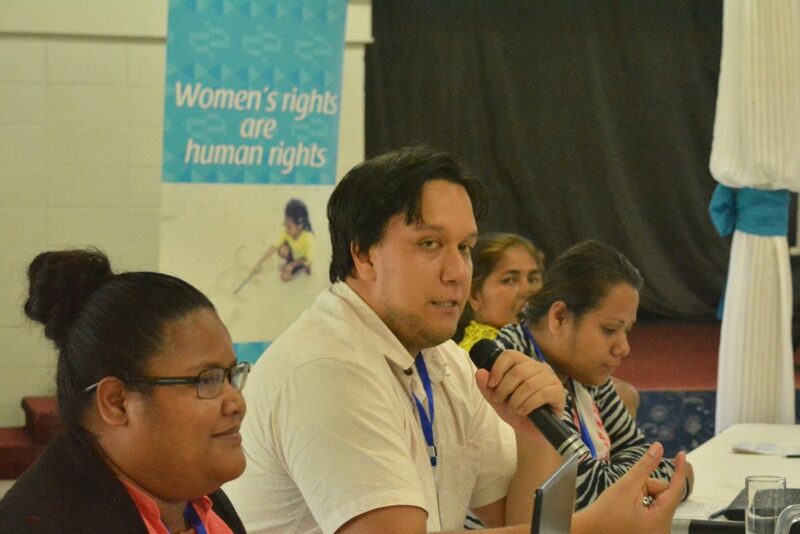 The Progressing Gender Equality in the Pacific program (PGEP) supports governments to improve their capacity to mainstream gender equality considerations and responses and to collect and analyse gender statistics to monitor their progress towards gender equality. An evaluation conducted in the second half of 2016 found that the program is achieving positive and demonstrable gains and remains highly relevant. Pacific Island governments are overwhelmingly positive about the assistance provided by SPC through the project. A regional workshop held in Fiji provided an opportunity for government partners to reflect on the program and consider ways to build on this positive groundwork in future implementation. Civil servants from Cook Islands, Federated States of Micronesia, Fiji, Palau, Papua New Guinea, Republic of the Marshall Islands, Samoa, Solomon Islands, Tonga and Vanuatu attended. ‘Central agencies like Ministries of Public Service and Public Service Commission play a central role in gender mainstreaming across governments’, said Solomon Islands Public Service Commissioner, Mr Eliam Tangirongo, opening the workshop. ‘We can institutionalise this work through our policies and the way we work, such as ensuring job descriptions have gender mainstreaming goals’. ‘For me, gender mainstreaming should not be seen as some end state that governments need to work towards by putting policies in place or delegating responsibility to a gender focal point. Instead, mainstreaming should be seen as a paradigm shift that requires all public officials to rethink and view all phases of their work through a gender lens. It is a constant state of reflection’. Jim Nimerota (second from left) during a panel discussion at the PGEP regional workshop. Photo: The Pacific Community. The program will develop activities based on the specific priorities and entry points within each country and tailor work plans towards country-led activities. It will continue to build the gender mainstreaming capacity of governments through on-the-job mentoring, extended in-country visits, training and other activities.